1. Ballpark the Costs - First things first, sit down and lay out your must haves and your features you could live without. Also think about what rooms you are remodeling, a bathroom remodel or a family-room addition can run $100 to $200 per square foot. But also do some reasearch becuase prices will cray depending on what materials you plan on using. 2. Do the Math on What You Have to Spend - Now that you have your ideas sorted out and your projects planned, next you need to figure out what your budget is. This will be more tiem consuming if you are borrowing, you will need to how much you can afford for your monthly loan expenses. The majority of homeowners borrow via a Home Equity Line of Credit loan option for home improvements. 3. Contact Contractors: send your plans and specific details along to contractors, get some recommendations first so you can comparison shop. Ask to see their recent work, check references and do some research online to see if they have any reviews. Take each estimate and add 15% to 20% for unpredictable problems that may be lurking. It is a harsh reality that more times than none you will encounter unexpected problems thats will add to your cost. Look at what you have to accomplish with the goal of saving money in mind! Use your DIY brain to think of what you can do yourself. Think of what materials you can substitute to save money in rooms that you may not use as frequently. Before any construction begins make sure you and your contractor are on the same page. Sit down and make sure all decisions are made when it comes to what materials you will be using and where, so no last minute and cost-effective decision have to be made. Create a detailed pland and stand by it. Hopefully these tips are helpful! 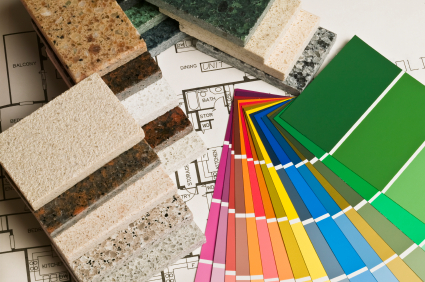 If you're thinking about remodeling in preparation to sell your home, check out these other tips on how to sell your home fast and getting ready to show your house. to Happy Remodeling from Geri Reilly Real Estate!